You are here: Home / .UK Domains Launched – Sorry! 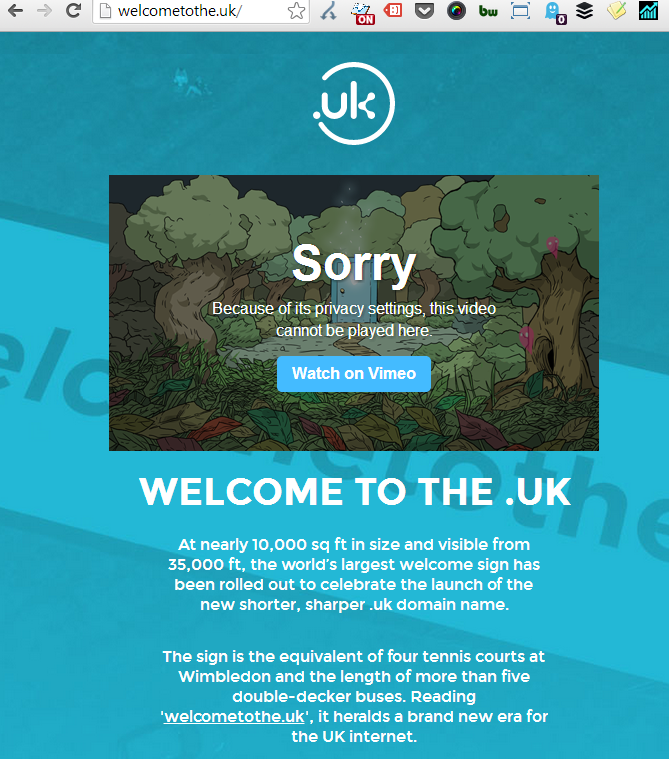 .UK Domains Launched – Sorry! On June 10th 2014, at 8am, Nominet (the UK domain registry) launched “.uk” domains. In other words, I could now move this site to “http://barker.uk” rather than “http://barker.co.uk”. A shame to have launched the world’s largest welcome sign leading to a large “Sorry…” notice, and a nice lesson to remember to double check your landing pages when running multi-channel campaigns. Note: If you’d like a full summary of the .uk change, what it means, and what to do about it, feel free to leave a comment and I’ll update this post later. Would love to hear your take on what it means and what to do.